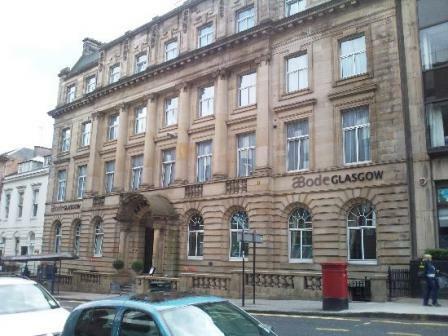 At the age of 15, after passing the Corporation Exam, I was sent to work in the School Health Service, 155 Bath Street, Glasgow. We handled all the administration work for around 24 school clinics all over the city. There were about 50 staff, mostly female apart from the top positions. I loved working there and became very interested in medical terminology. I started in 1957 and only left in 1963 because I was emigrating to New Zealand. In the fifties, we worked in the office on Saturday mornings but were allowed one Saturday off a month. Another memory is that Glasgow Corporation did not employ married women, so as the single girls got married off they had to resign. Can't see that happening these days. Next door at No.151, there was the Welfare Department, who handled school meals, etc. I've often wondered when these departments finally closed down and if the school clinics are still operating. Can anyone shed some light on this? I'd be pleased to hear any news. I also recall that the Education Department was further down Bath Street at No.129. Greetings from Glasgow to Christchurch. Yes the old school clinics are all gone, I believe most schools these days have a dedicated school nurse who looks after the kids welfare. I suppose it's a sign of the times as I well remember attending the Glenbarr Street clinic in Garngad which served St Roch's Primary and Secondary, St Rollox Primary and Rosemount Primary all in the area. I have horrible memories of tooth extractions without anaesthetic and getting various jags to ward off polio and the likes. Remember this was the 1950's and peoples health has improved immeasurably with much better standard housing and no more rat infested tenements. and after school services as well. Yes, Bath Street had quite a few Glasgow Corporation service headquarters on it. These days, most of Glasgow City Council departments are sited around the George Square area in the city centre. The old Corporation was quite an empire and if you got a job in it, it was a job for life. Today's Council is all about cuts and out-sourcing functions due to the current financial crisis, I'm afraid. The education department is now a rather swanky hotel called Abode. Stayed there when it first opened a few years back as The Art House Hotel and could picture all the old comings and goings. Passed through Christchurch myself last January and would have liked to stay longer, but sadly schedule was fixed. Thanks, guys, for the info on Glasgow Corporation. Fancy the Education Department now a hotel. It looks like a good solid building, mind you. Yes, a Corporation job was considered a good one and I loved mine in the School Health Service. Next year, I am hoping to travel back to the UK and this time for sure I will definitely be walking around all the old haunts, including Bath Street. Only having been back to Glasgow 4 times since 1963, my memories are still firmly etched in that era and it is hard to see it as it is now, though undoubtedly the city is a much cleaner and brighter place than in those days. I worked for Glasgow Corporation Education Department from 1953 to '59 and yes, I had to leave when I got married. I was in the office of Stow College of Engineering on Shamrock Street but we were always popping into the Further Education Department at 129 Bath Street. I remember it was on the second floor, windows on the left of the photograph. Supplies were ordered from the third floor. I remember the old elevator with the 'cage' doors! You mentioned Glenbarr Street clinic - I remember it well. As a junior in the School Health Service, I often had to take packages that were too big to post to the two biggest clinics - Glenbarr Street and Florence Street in the Gorbals. I was given tokens for the buses and went there first thing in the morning before work. When the polio vaccines were being introduced, the SHS staff were called on to work at the clinics put on the evenings. I remember feeling very important at the time! Also, I can recall there was a suspected case of smallpox in Ruchill Hospital. We were all vaccinated in the office because if the smallpox case was confirmed we would be required to work in clinics set up for mass vaccinations. Fortunately for Glasgow, it turned out it was not smallpox after all.